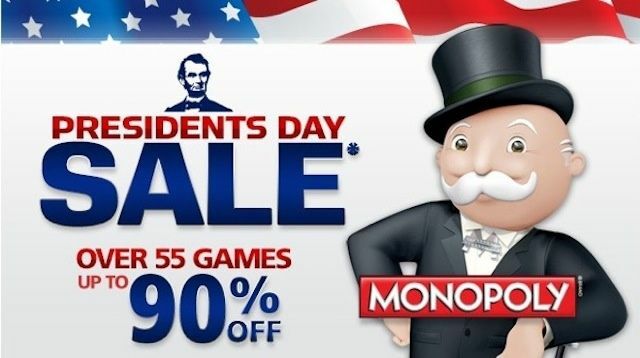 EA is today throwing a President’s Day sale that has seen it slashing the prices of its iOS games by up to 90%. Over 55 games are included in the deal — including popular titles like Need for Speed Most Wanted, Mass Effect Infiltrator, and Dead Space 3 — and everything is just $0.99. We’ve got a complete list of reduced titles below. Grab 'em while they're cheap. As we all know, iOS developers just love an excuse to slash their prices, and EA is the first to show its celebrations for Independence Day. The company has discounted a stack of popular titles — including FIFA 12, Dead Space, and Mass Effect Infiltrator — to just $0.99 to ensure you stay busy before the fireworks start. 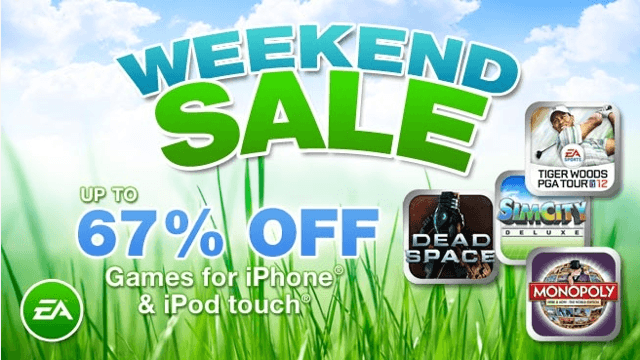 This weekend sees the final of the 2011 Masters Golf Tournament, and as a way of celebrating, EA has reduced some of its most popular iPhone and iPod touch games by up to 67%. Of course, the brand new Tiger Woods PGA Tour 12 is the one you’ll want most during the Masters commercial breaks. There are 10 great games featured in the sale, including Dead Space, Battlefield: Bad Company 2, The Sims 3, and The Simpsons Arcade. Check out the full list after the break!